As I see more and more “healthy people” around me develop serious health issues, such as cancer, I become more and more convinced that the toxins we are exposed to play a far greater role in our health than we might think. By “healthy people”, I mean people who eat relatively well, exercise regularly and/or are considered far too young to be afflicted by such diseases. Spring is the time of year when most of us think of detoxing or following a cleanse. I am no exception. 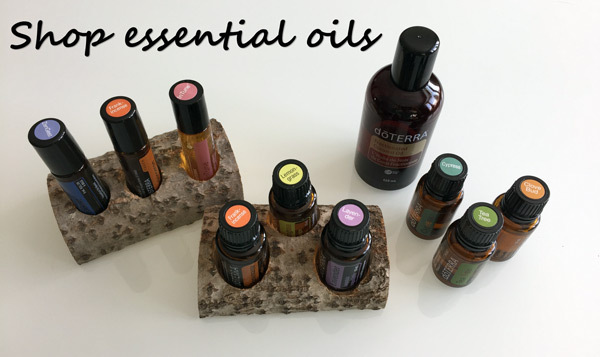 In my most recent monthly doTERRA essential oils order, I got myself two amazing supplements: Zendocrine Softgels and the Zendocrine Detoxification Complex. The Zendocrine Softgels are a blend of Tangerine (high limonene content), Rosemary (supports liver function), Geranium (supports elimination organs), Juniper Berry (supports kidneys) and Cilantro (supports your body’s detoxification mechanisms) essential oils which have been shown to have powerful detoxifying properties. I’ve been taking this supplement with breakfast, lunch and supper. The Zendocrine Detoxification Complex is a beautiful mix of herbs that support healthy cleansing and filtering functions of the liver (Barberry root and bark, Milk thistle seed, Burdock root, Clove bud, Dandelion root, Garlic bulb, Red clover flowering tops), kidneys (Turkish Rhubarb stem, Burdock root, Clove bud, Dandelion root), colon (Psyllium husk, Turkish rhubarb stem, Acacia Gum bark, Marshmallow root), lungs (Osha root, Safflower petals), and skin (Kelp, Milk thistle seed, Burdock root, Clove bud, Garlic bulb). I’ve been taking this supplement with breakfast and supper. Of course, at the same time, it is important to reduce your exposure to and consumption of toxins. Are you avoiding packaged goods and focusing on whole foods? Have you checked the ingredients in your home cleaning products and cosmetics? Could you replace some of these products with more natural versions or – EVEN BETTER – start making them yourself? We commonly think of healthy eating and exercising as gateways to good health. I highly encourage you to also think about your toxic exposure as another important factor. Are you going to support your body in cleansing this Spring? PS – Oh, and in the spirit of full disclosure, I TOTALLY sell these supplements. However, I also HONESTLY use them on a regular basis. I have absolutely NO SHAME with that. I would feel FAR worst keeping secrets to good health from you!